Game Boy Australia: Blip Festival Australia! February 2012! 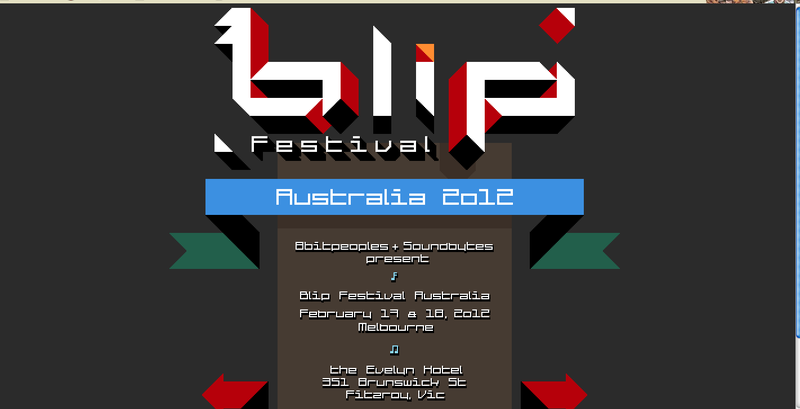 Blip Festival Australia! February 2012! Yes you did read correctly .. BLIP ... FESTIVAL ... AUSTRALIA ...>?!!! !>!